Can Drone Use Lead to Personal Injury? By the year 2020, the FAA estimates that somewhere between 10,000-30,000 drones could be flying in skies over the United States. What impacts could this have on the typical Floridian? What are the chances of causing, or incurring, personal injury due to the use of drones? The answer may surprise you. Essentially, drones are unmanned aircraft systems (UAS) and the navigation equipment associated with them. While most Americans are familiar with the million-dollar militarized drones used in war zones, there are plenty of commercially available drones available to citizens that are as inexpensive as $25, going up in price as device complexity increases. The unmanned aircraft (UA) is the actual flying piece of the system, which is usually navigated by a pilot who uses a ground control system such as a smartphone or tablet, or even a more complicated system that has GPS and more extensive flight ranges. Drone use for surveillance is a concern among many Americans, the American Civil Liberties Union, in particular. In Florida, the legality of police helicopter surveillance has been sanctioned by the court. Although the Fourth Amendment requires that a judicially sanctioned warrant based on probable cause is required prior to a search, the court ruled that using a helicopter to observe a backyard is not a violation of the Fourth Amendment if the helicopter was in navigable airspace. It follows, then, that drone surveillance might enjoy a similar lax interpretation when it comes to privacy. Can we expect law enforcement to embrace the much cheaper and agile drone technology for surveillance? Would footage obtained by a drone be admissible in a court of law, even though that same information could not legally be obtained with a human investigation? Although Gov. Rick Scott signed the Freedom from Unwarranted Surveillance Act into law, requiring a judge’s stamp of approval before using drones for surveillance, federal laws make the answers to such questions unclear. Because drones can be used to carry loads, the use of cameras is not the only concern. The transfer of illegal drugs across the Mexico-United States border has been a recently reported issue. Other countries have reported the use of drones to sneak contraband over prison walls. Certainly, the recent crash of a drone on the White House lawn alerted law enforcement to the potential harm that could be wrought with the use of drones. Florida has experienced instances where drones have interfered with flight maneuvers involving pilots from Patrick Air Force Base. The potential for tragedy when these UA’s are in restricted airspace is unspeakable. The FAA has regulations regarding the use of drones. Whether you are a hobbyist who is looking to recreate with a drone, someone who wishes to use drones commercially, or a victim of private space being invaded by a drone, understanding these regulations is critical. 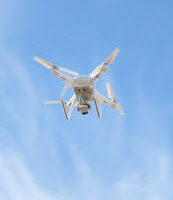 Make sure that you do not cause or sustain personal injuries because of a drone: enlist the services of the knowledgeable personal injury team at the Law Offices of Robert W. Elton in Daytona & Ormond Beach today.